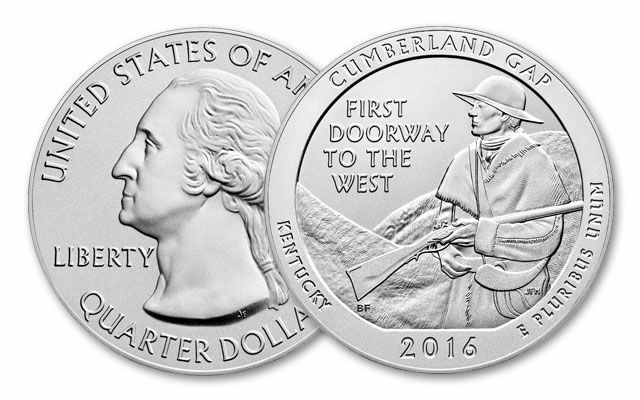 This 2016 5oz Silver America the Beautiful Series Cumberland Gap, Kentucky coin is struck in 5 ounces of .999 silver. 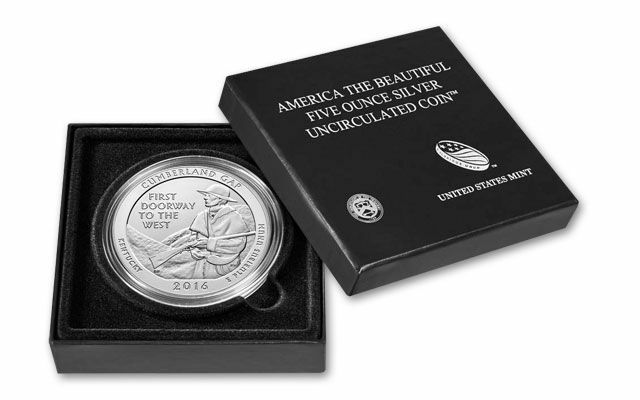 Each coin is in Original Government Packaging (OGP). 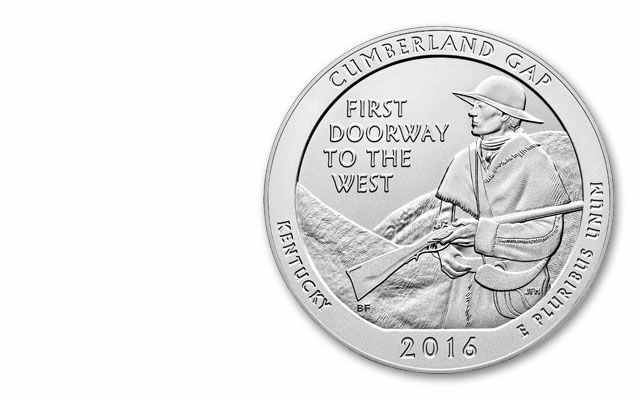 CUMBERLAND GAP: The buffalo, the Native American, the lone hunter, the pioneer . 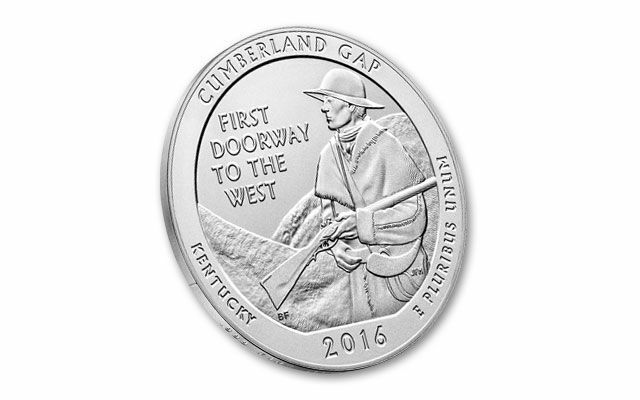 . . they all traveled through Cumberland Gap, the first gateway to the West, into the wilderness of Kentucky. Modern day explorers and travelers stand in awe at this great break in the Appalachian Mountain chain, carved by wind and water. Visitors to Cumberland Gap National Historical Park enjoy many miles of trails and scenic features, as the park stretches for 26 miles along Cumberland Mountain, ranging from one to four miles in width and containing 24,000 acres. The natural beauty of Appalachian mountain country, lush with vegetation, supports diverse animal life including white–tailed deer, black bear, and wild turkey. It was established as a national site in 1940. SP: “SP” stands for specimen.While the BU coins have more a proof-like appearance, Collector edition SP coins have a satin or matte finish. 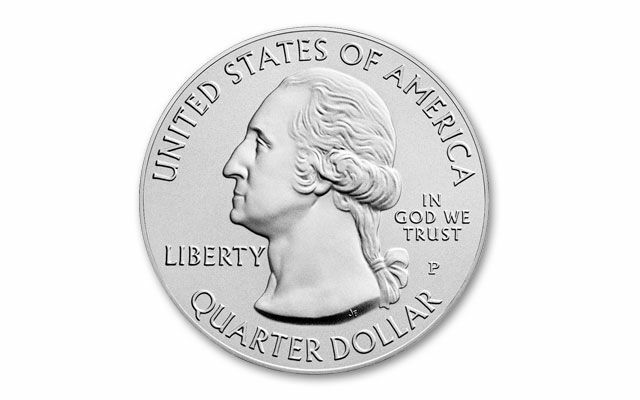 The America the Beautiful Cumberland Gap SP coin also has a smaller mintage than the BU version. While the mintage of the BU is unlimited, the mintage of the SP coins is only 30,000, so you need to secure yours before the sell out!